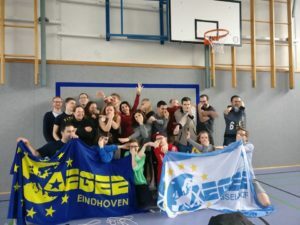 Although AEGEE-Düsseldorf is a really small antenna with around five or seven active members, they succeeded to represent the essence and spirit of AEGEE. In February, AEGEE-Düsseldorf organised their first RTC, in cooperation with Diede Oudenampsen from the Academy as trainer. They managed to find accommodation and food, to fundraise some tickets and water, to invite ESN-Erasmus Students’ Network and JEF-Young European Federalists for a presentation, and more. AEGEE-Düsseldorf is continuously trying to improve cooperation with other associations (Christian associations, JEF, and ESN in particular), showing that there is no need for competition. The fact that such a small antenna can achieve such an event deserves recognition. During the RTC, where the Düssi-fever got participants and organisers affected. Düssi is the elephant mascotte of our the local, that’s the reason behind the funny arm movements. The AEGEEan: Congratulations, you were nominated as Local of the Month of February! Introduce yourselves, please, and tell us your AEGEE-Düsseldorf story. How did it start? Can you tell us a bit more about your local? AEGEE-Düsseldorf: Hello lovely AEGEEans, we are AEGEE-Düsseldorf! Once upon a time, a group of Europe enthusiasts decided to bring AEGEE into Düssseldorf’s student life. That was in 19xx and afterwards there is a big gap in our history. It remains unknown until this day, what or who brought AEGEE-Düsseldorf to life. So we start our story with Benjamin Feyen, the bard. It is him, who, with help of his friends, built a solid foundation, that we are still relying upon. Our local was never really big, but that does not matter to us. What matters is the motivation and initiative of our members. Cultural speed-dates, speed-debates, free walking tours and visits from other locals is what keeps our blood pumping. But with our current board, our blood started to boil! Though few in numbers, we managed to organise the RTC “Get your local movin'” in February, with the support of our friends from AEGEE-Eindhoven. And it was amazing! How did you come to the idea to cooperate with ESN and managed to succeed in it? In Düsseldorf, there are many youth organisations that revolve around the European future, with young people taking action in making their ideals come true. The goals are not always 100% the same and the methods differ greatly, but we still have a common ground. That was especially true for ESN and AEGEE-Düsseldorf, since we are both nurturing intercultural understanding, so we wanted to get in contact for a long time already. 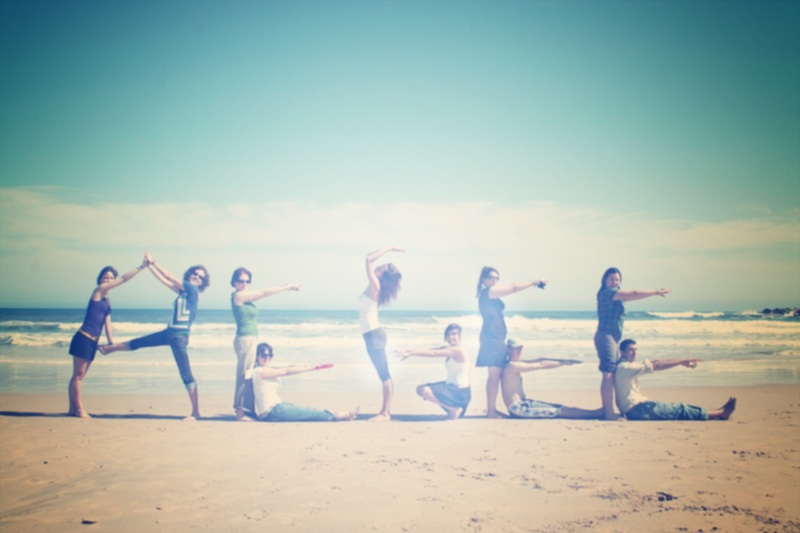 It is thanks to JEF, who started an event for this sole purpose, that we could establish serious (and fun) cooperations. The first “Zukunftswerkstatt”, roughly translated to future workshop, was held at the end of 2016. JEF, ESN, EYP, YEP and AEGEE attended, all youth organisations with the European future in mind. The main purpose of the event was to get in contact and to learn about each other’s visions and goals, as well as to see where we could cooperate together. It was a great success! Since then, we have had some debating events with JEF and participated in “March for Europe” with ESN and JEF. Now “Zukunftswerkstatt” Vol.2 will be organised by AEGEE-Düsseldorf. This time, the topic will be cooperation on social media. We really look forward to our guests’ presentations on Social Media and the shaping of concrete plans for helping each other out! We highly recommend it to all locals! Look out for who else is fighting for a bright European future and start working together. What are you working on at in the moment? There are a few projects we are working on. Some more history-changing, some others purely for our high spirits. We are currently establishing collaborations with other youth organisations, which will help us benefit from each other and spread Europtimism throughout Düsseldorf. It is something that we consider to be crucial and it is nice to work towards the same goal apart from the AEGEE network. Just what is happening with Pulse of Europe at the moment. In accordance with our RTC, we decided to use sports as a mean of teambuilding. We are now doing monthly yoga sessions to keep us healthy and ready for new challenges. We look forward to Europe on Track visiting us, helping AEGEE-Köln for their pre-event and welcoming SUs and exchanges with other locals. It may not sound as much for bigger locals, but for an active circle of three to seven it feels like a rollercoaster sometimes. We were super happy! To find out that our efforts were noticed by our friends, it made us realise that we are all in this together. We were probably nominated because you can feel how alive we are at the moment and how indulged we are in our events. Why do you write everywhere that you are not from Cologne? Hahaha that is because the cities of Düsseldorf and Cologne are long time rivals (especially when it comes to brewing beer the right way). And because the cities are really close to each other, we emphasise that we are not from Cologne. [they laugh, ed.] You will hear it during the roll call at the Agora as well! Go with the flow and see how far it takes you. Then start paddling.